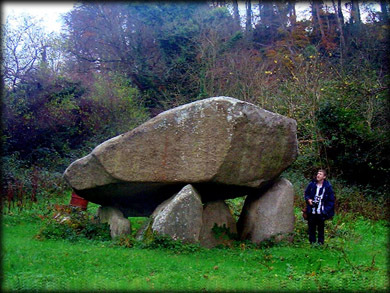 In the valley of Glen Druid about a mile southwest of Cabinteely lies the hugely impressive portal tomb known as Brenanstown Dolmen. There is some restoration work towards the back of the tomb, but standing at about 11ft high and with a capstone weighing around 45 tons this Dolmen is well worth a visit. About three miles south east of here is another portal tomb at Ballybrack. On the top of the capstone are two deep gutters with channels (pictured below) leading to the sides. 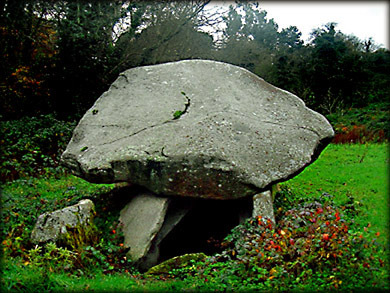 This is a feature that has been noticed on several megalithic monuments around Ireland. 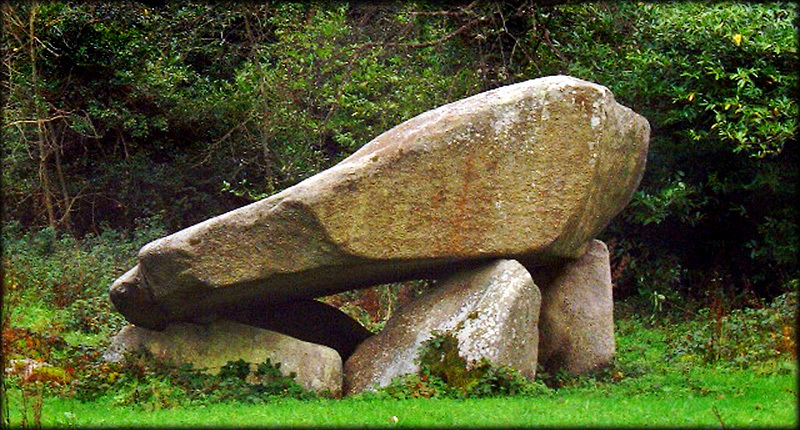 As you can see from the pics the form of this megalith seems to change as you look at it from different angles. Situated: Take the N11 south from Dublin City after Cornellscourt shopping centre take the next right, signed Cabinteely, keep straight on at the next traffic lights, this is the Brenanstown road, go about a mile down this road till you see Dolmen House on your left, ask permission here to visit the dolmen, I found them very helpful.